Pressboard Fastener Folders feature matching-color Tyvek tape, 1/3 cut tabs in assorted positions, and 25 point Pressboard. Two 2"" embedded prong fasteners in positions No. 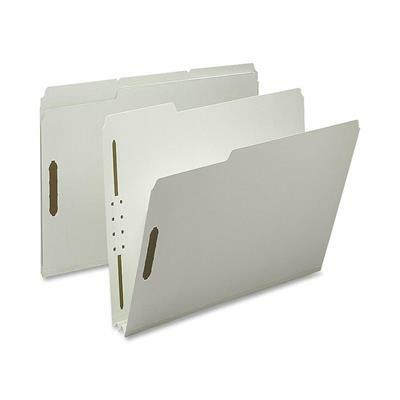 1 and 3 keep documents secure and in order.